This book describes an astounding feat of constitutional writing and publication. For a number of decades, officials working across different branches of the United Kingdom (UK) constitution have been engaged in a series of separate projects. Taken in their totality, they amount to a vast enterprise. Yet, until now, no-one has fully recognised or critically analysed what has taken place. 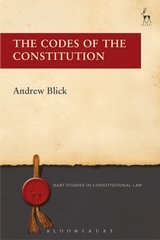 There has been a proliferation in the UK of publicly available codes, normally lacking a basis in statute, providing official accounts of a variety of different features of UK constitutional rules and principles. They cover institutions ranging from the Cabinet to the Civil Service to the judiciary, and relationships between entities such as central government and the devolved executives; and between the UK executive and the Westminster Parliament. Among them are prominent texts such as the Ministerial Code, the Cabinet Manual, the Guide to Judicial Conduct and the devolution Memorandum of Understanding – as well as more obscure documents that nonetheless contain important stipulations regarding the operation of the system. Similar developments have taken place in countries including Australia, Canada and New Zealand. 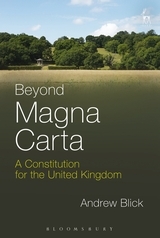 The author explores the history of this phenomenon in the UK, how it functions today here and elsewhere in the Commonwealth, and its implications for the UK constitution. 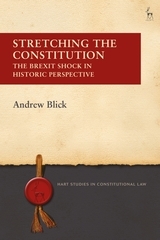 Andrew Blick is Lecturer in Politics and Contemporary History at King's College London.